The Martinsville-Henry County Family YMCA offers swimming lessons according to guidelines set by the YMCA of the USA. Our lessons not only focus on learning to swim, but on all aspects of the aquatic environment The elements of Personal Safety, Rescue, Water Sports and Games, and Personal Growth are also incorporated into swim lessons. We believe in building the spirit, mind, and body of our programming. The minimum number to run a swim lesson is four participants. To avoid canceling of a lesson, we may combine levels as appropriate according to age-group and skill level. YMCA instructors will assess and assign children to the appropriate skill level class within their range if necessary. Please note that our lessons are progressive and each student progresses at their own rate. Registration will not be taken by phone. Payment must be made at time of registration to secure enrollment. The YMCA is not responsible for providing make-up class for any class that an individual student may miss. If the instructor cancels class, the YMCA will schedule a make-up date. 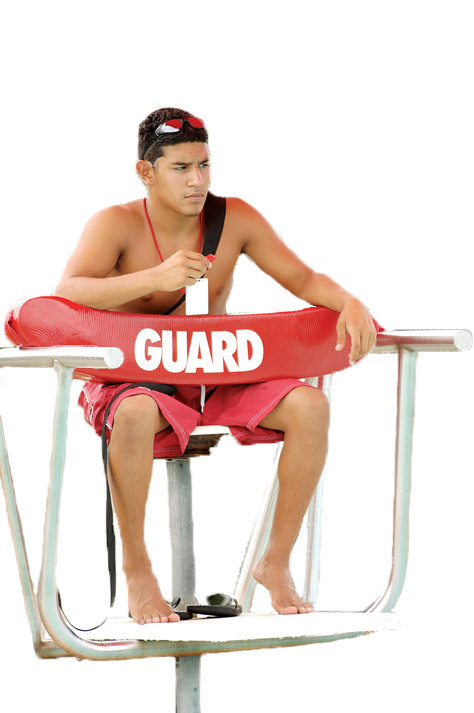 No one swims without a lifeguard on duty. Obey lifeguards at all times. Only adults ages 18 and over are allowed to use any of the equipment (kickboards, barbells, flippers, inner tubes, etc.). Children are not allowed to use any equipment during open swim. Scuba gear (masks that cover the eyes and nose) are only allowed to be used by adults, age 18 and over. Children may use goggles covering only the eyes during open swim. No running on the deck. No running to jump into the water. Swimmer may jump from white gutter area only. No front or back dives or flips from the side. Swimmers are not allowed to jump or hang from the starting blocks. No horseplay in or around the pool. No pushing, splashing or throwing others in the pool. Children 12 and under must be accompanied by an adult while in the water. An adult is someone who is 18 years or older. Children using belts or bubbles must be accompanied by a parent or guardian (18 or older) in the pool or seated on the side of the pool within arms length of the child. Anyone who has been ill, recently injured, or has open sores or a contagious skin disease may not enter the water. See and Aquatics Staff Member if unsure. All children ages 12 and under will be tested for their swimming ability by taking a swim test. This test consists of swimming 4 widths of the pool. If able to do so, they will be marked and allowed to enter the deep end. If unable to do so, they must remain in the shallow section of the pool. Glass and other breakable containers are not allowed in the pool area. Bathing suits must be worn in the pool. If a swimmer is not wearing a swimsuit (shorts or T-shirt or undergarments) he or she will be asked to leave the pool area. Adult lap time is reserved for those 18 and older. Pool will close due to thunderstorms. Children still in diapers must have waterproof diaper AND swimsuit. Report all accidents to lifeguard. Complaints and Suggestions should be made to the Aquatics Director or the front desk. Present bar-coded membership card under scanner at the basket room counter AND sign-in upon arrival to the pool. Rafts, tubes, scuba gear, toys, kickboards, flippers, etc. are not allowed in the pool during open swim. Only Preschool age children (5 and under) allowed in the baby pool. Parents must supervise their children at all times. Rubber or soft textured toys are permissible.